Collective animal behaviour is a fascinating phenomenon. 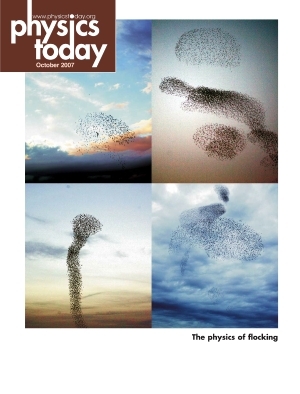 How does global co-ordination emerge in a flock of thousands starlings swirling at dusk? How does a school of sardines organize in a circular pattern? What is the evolutionary function of collective behaviour? Is it purely defensive, or has it some other purpose, perhaps social? INFM-CNR was the leader node of a European project – FP6-NEST 12682 STARFLAG (2005-2008) – dedicated to the study of collective animal behaviour. The STARFLAG project is now ended, but its research continues in the COBBS lab. In order to learn from nature the fundamental mechanisms of self-organization it is essential to have a strong feedback between quantitative empirical observations on one side, and theories and models on the other side. The STARFLAG project was born exactly with this aim: scientists from many different disciplines, including biology, physics and economics, joined forces to tackle the problem of collective behaviour. 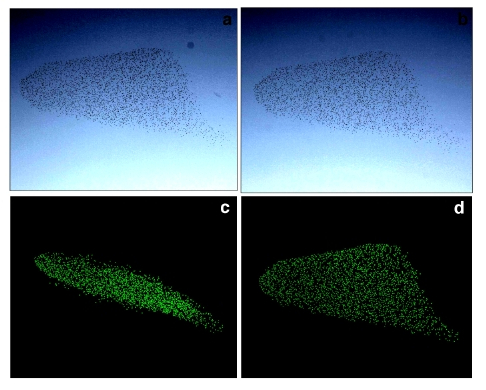 By focusing on one paradigmatic case, namely the motion of large flocks of European starlings (Sturnus vulgaris), STARFLAG aimed to quantitatively understand the mechanisms of self-organization in natural systems, to develop models as accurate as possible, and finally to explore the role of collective animal behaviour in other disciplines. STARFLAG includes seven research institutes and it was coordinated at the European level by Giorgio Parisi. The backbone of STARFLAG was to obtain empirical data, and this was the task of the INFM-CNR node, coordinated by Andrea Cavagna. Measuring the three-dimensional (3D) position of each individual within a large group of animals is tricky. The first measurements on small fish schools were done in the ‘60s. These early studies considered not more than 20 animals, a number that is very far from the natural case, where groups can range up to tens of thousands individuals. Surprisingly, forty years later the field of 3D observations on animal collective behaviour had done little progress, and as recently as 1998 scientists could only study groups of few tens of animals. The bottleneck was not technology, nor equipment, but something called the correspondence (or matching) problem (See Fig.1). In order to obtain the 3D positions of individual birds within the flock, STARFLAG used stereometry, which consists in taking synchronous picture of the same target from two different positions. Images a and b are the left and right photographs of the stereometric pair, taken at the same instant of time, from two cameras 25 meters apart. This flock consists of about 1300 starlings, flying at 11ms-1. To perform the 3D reconstruction, each bird’s image on the left photo must be matched to its corresponding image on the right photo. This is the correspondence, or matching, problem. Five matched pairs of birds are visualized by the red squares. In previous studies the matching was performed manually, and this severely limited the number of animals, as well as the cohesion of the group. 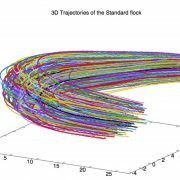 STARFLAG developed new algorithms, inspired by statistical physics and computer vision, that can perform the matching automatically in flocks of several thousands birds. This has been the breakthrough that allowed STARFLAG to make the first large-scale quantitative study of collective animal behaviour in the field. c,d,e,f: 3D reconstruction of the flock under 4 different points of view. Panel d shows the reconstructed flock under the same perspective as the right photograph (b). 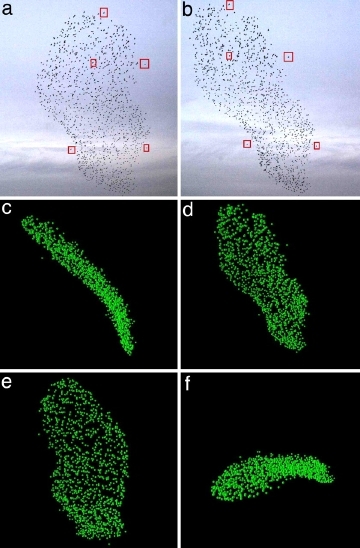 Using new techniques, inspired by computer vision and statistical physics, the STARFLAG project managed to solve the correspondence problem and to reconstruct for the first time the 3D positions of individual birds in flocks of several thousands starlings in the field. Compared to former studies, this is an advance of two orders of magnitude, which put STARFLAG in the unique position of making a detailed analysis of the rules of interaction in collective animal behaviour. The results were striking. 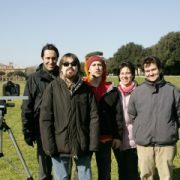 By measuring the anisotropic structure of birds within the flock we were able to track the interaction among the birds. At variance with previous models and theories, we found that the strength of the interaction binding two individuals does not decay proportionally to the metric distance between them, as previously assumed, but rather to the topological distance. An example may clarify this result: whenever we take the bus, we do not measure the distance between two stops in meters, or kilometres (metric distance), but rather in number of stops (topological distance). Birds do something similar: they measure the distance in units of individuals, not meters. This implies that each bird interacts with a fixed number of neighbours, rather than interacting with all neighbours within a fixed metric distance, as assumed by all current models. In particular, we discovered that each bird always interacts with 6-7 neighbours, independently of the metric distance of these neighbours. Learn more about metric vs. topological interaction by looking at this page. Why 6-7 neighbours? This range is significantly smaller than the number of visually unobstructed neighbours around each bird. We conclude that this specific value, 6-7, must derive from the cortical elaboration of the visual input, rather than from a limitation of the input itself. 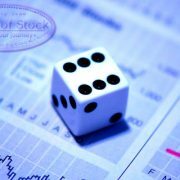 In order to keep under control a fixed number of neighbours, irrespective of their metric distance, it is necessary for the individuals to have some pre-numeric ability, or, more precisely, an object-tracking, or ‘subitizing’, ability. This capability decays beyond a certain number, and such perceptual limit defines the range of interaction. Emmerton & Delius show that trained pigeons can discriminate sets of different numerosities provided that these sets have less than 7 objects. In our field study we find a range of 6-7 neighbours. Such a striking agreement suggests that the same tracking ability at the basis of numerical discrimination may be used for interacting with a fixed number of neighbours, and then be an essential ingredient of collective animal behaviour. An alternative interpretation of the interaction range we find is that the specific value 6-7 may be functional to optimize anti-predatory response: if each individual interacts with too few neighbours, information is non-noisy, but too short-ranged; conversely, if the interaction involves too many neighbours, information is averaged over several ill-informed individuals, and it is too noisy. A flock of 3000 starlings together with its 3D reconstruction. Previous studies could deal with up to few tens of animals, in loose, non-cohesive arrangements, and very seldon in the field. Starling flocks often display a rather thin shape, similar to a pan-cake. Surprisingly enough, the aspect ratio of the flocks is quite constant, even though flocks differ considerably in number of birds. This kind of feature, as many others, would be impossible to detect without a full 3D reconstruction of the individual birds positions. From these 3D data it was possible to investigate the nature of the interaction among birds. Why a topological, and not a metric interaction? Animal collective behaviour is staged in a troubled natural environment. Hence, the interaction mechanism shaped by evolution must keep cohesion in the face of strong perturbations, of which predation is the most relevant. We believe that topological interaction is the only mechanism granting such robust cohesion, and therefore higher biological fitness. A metric interaction is inadequate to cope with this problem: whenever the inter-individual distance became larger than the metric range, interaction would vanish, cohesion would be lost, and stragglers would ‘evaporate’ from the aggregation. A topological interaction, on the opposite, is very robust, since its strength is the same at different densities. By interacting within a fixed number of individuals, rather than meters, the aggregation can be either dense or sparse, change shape, fluctuate and even split, yet maintaining the same degree of cohesion. A simple numerical model confirmed our hypothesis that the use of a topological rather than metric distance is beneficial for the biological fitness of the flock. Under strong perturbation, as the attack of a predator, numerical simulations show that the cohesion of the group is far more robust for a topological interaction, than a metric one. STARFLAG is also trying to find out what are the behavioural rules at the basis of the anisotropic structure observed empirically within the flock. 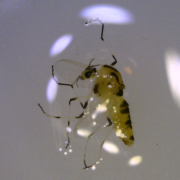 To this aim, new models taking into account the anisotropic visual apparatus of birds and fishes are being developed. You can find all the INFM-CNR STARFLAG papers here. An interesting article about STARFLAG was published in Physics Today. It can be found in the press room, together with the other press coverage of STARFLAG. If you need some STARFLAG images, you can find a selection of low resolution photos from the project here. Take a look at the ugly STARFLAG bunch.